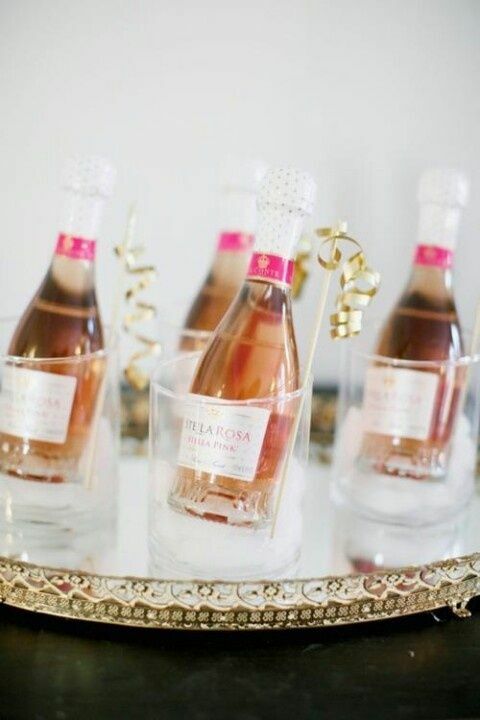 Set out bottles of champagne and empty glasses for your guests. We love these mini bottles! Put a variety of juice options on the table. Try to put them in matching pitchers or carafes and don't forget to label them for your guests! 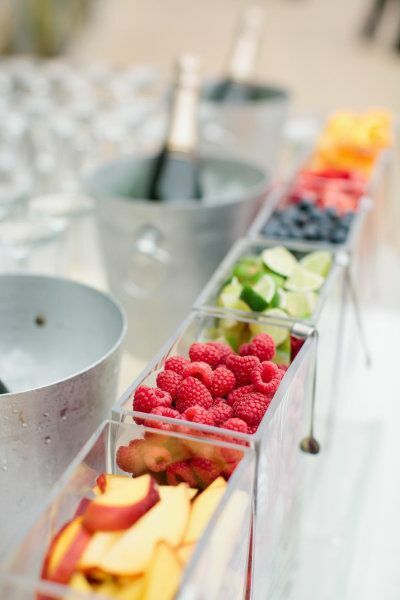 Place options of fruit garnishes on the table in separate bowls for your guests. 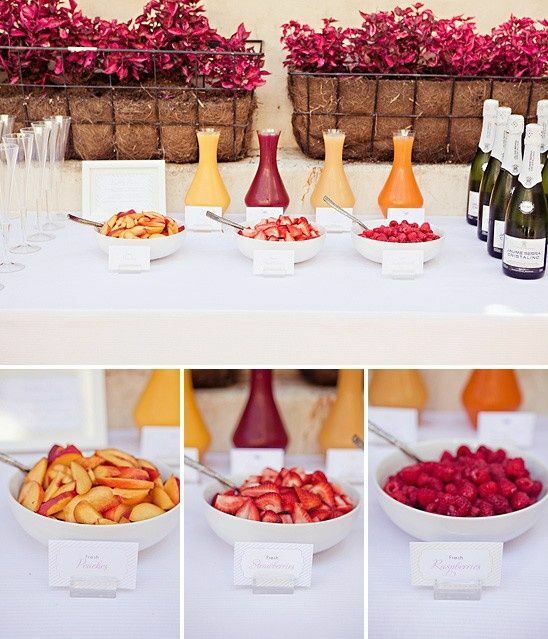 Classic options include strawberries and raspberries but try to offer a few creative options like pineapple or peaches. 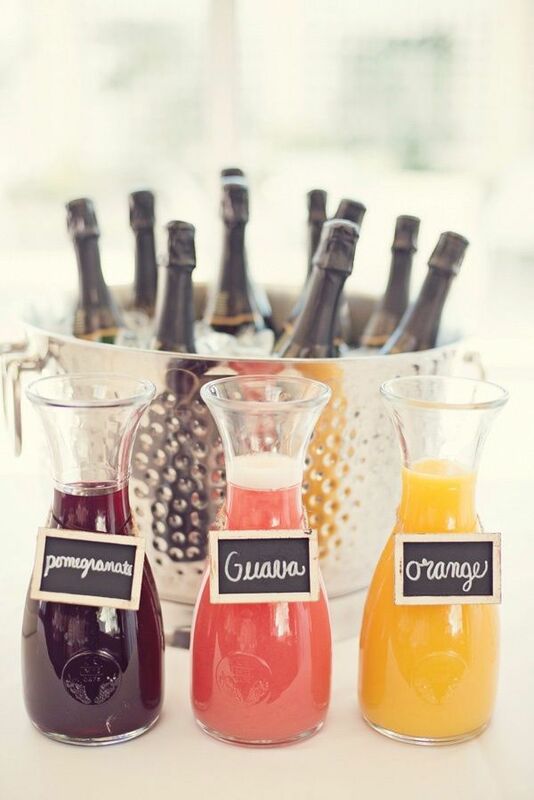 Add a cute sign to your table explaining the steps to make the perfect mimosa. 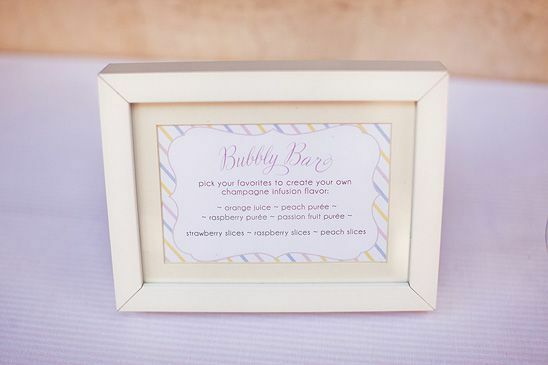 We love the idea to call it a Bubbly Bar! 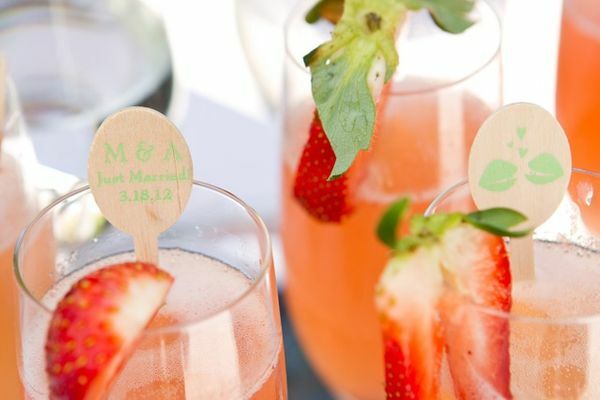 Add a fun drink stirrer option for your guests to go with the theme of your party. Now the mimosas are ready to drink!